This was shot just after sunrise in the Menabe region of western Madagascar. 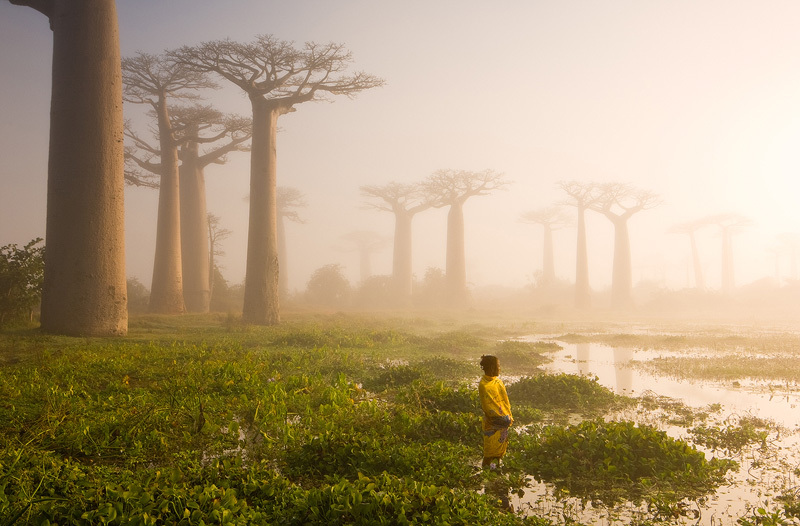 These baobab trees are of the species Adansonia grandidieri and are endemic to Madagascar. Baobab trees - about 30 meters in height and up to 800 years old - are known locally as renala (Malagasy for "mother of the forest"), are a legacy of the dense tropical forests that once thrived on Madagascar.